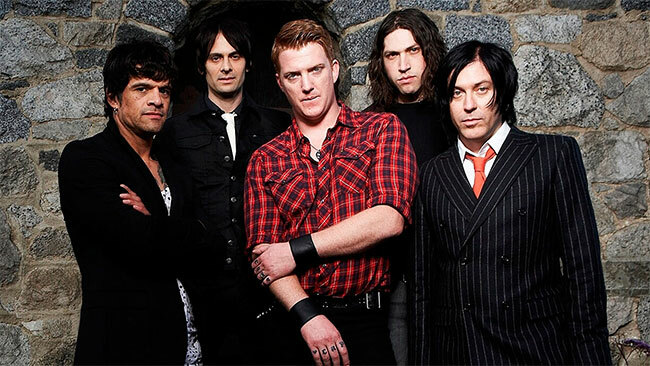 Queens Of The Stone Age’s monolithic seventh album, Villains, released August 25th on Matador Records, has stolen the hearts and souls of the music-loving (and purchasing) populace the world over. In other news on the band’s U.S. home front, Villains also took the #1 spot on the Alternative, Hard, Rock, Internet and Independent Label Album charts and #2 on the Digital Album sales chart. With the unlikely pairing of producer Mark Ronson and Queens Of The Stone Age now a scientifically proven success, Joshua Homme, Troy Van Leeuwen, Dean Fertita, Michael Shuman and Jon Theodore will take the new songs on the road this week, opening the North American leg of the Villains world tour with a long since sold out show September 6th at the Capitol Theater in Port Chester, NY. Tickets for the massive run, which includes the band’s first ever headline at New York’s Madison Square Garden, have already sold out at Colorado’s famed Red Rocks, as well as in Grand Rapids, Cleveland, St. Louis, Kansas City, St. Paul, Milwaukee, Indianapolis, Washington DC, Boston, Portland ME and more soon.